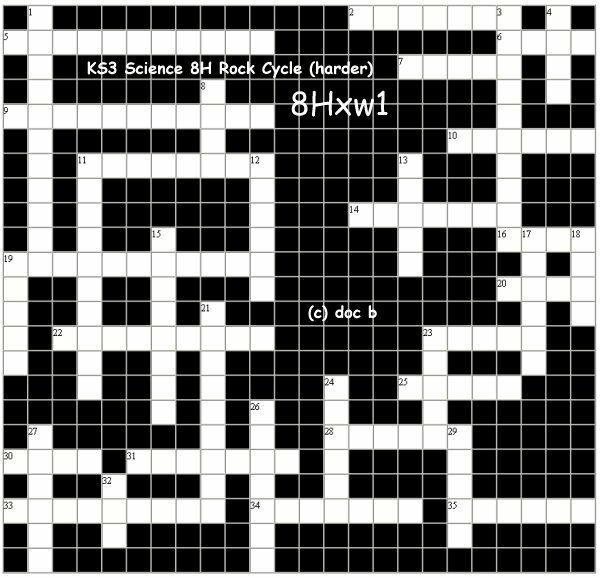 The BIG KS3 Science-Chemistry crossword on "THE ROCK CYCLE"
16 The rate at which rocks get recycled is very (4)? 22 (9)? is a sedimentary rock made from the mineral remains of sea organisms. 23 (5)? is a metamorphic rock used for roofing. 28 (6)? is a metamorphic rock formed from limestone.